The successor to the legendary Officer's Knife this Huntsman comes with a durable walnut outer and 13 functions. The elegant design includes the addition of scissors and a wood saw making this the ideal tool for any occasion. Each tool has a unique grain and is the size of an EDC giving it the versatility to be carried on a keyring while still providing extensive functionality. 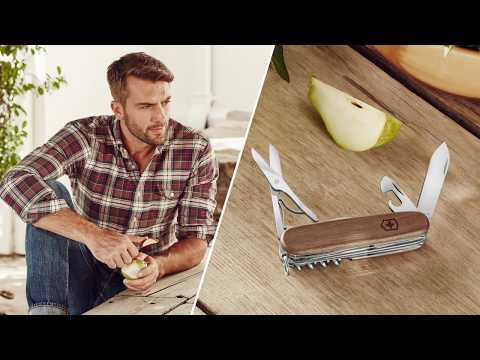 The Victorinox Huntsman Swiss Army Knife (Red) is supplied with a lifetime warranty.